Minta Viski is a full-service design and digital studio operating from The Rock in NSW. Minta exists to help take brands into the future to deliver on commercial and organisational objectives. Specific services we deliver include branding, style manuals, website design, marketing collateral (print and digital advertisements, brochures, flyers etc), signage, stationery suites and social media content. Minta works with clients across multiple sectors located throughout Australia including Sauce Communications (Leeton, Canberra, Melbourne and Sydney), Ipsum Advisors (Bendigo), Flavourtech (International), Silverline Australia (Sydney), Kangaroo Industries Association of Australia (International), Canberra Deakin Soccer Club (Canberra), Australian Lot Feeders Association (Sydney), National Gallery of Australia (Canberra), Wagga Wagga Base Hospital (various departments), Wagga Wagga Country Club, Macro Meats (South Australia) and The Cad Factory (Narrandera). In addition to commercial design services, head designer Rachel also operates as an interdisciplinary artist undertaking commission-based artwork. 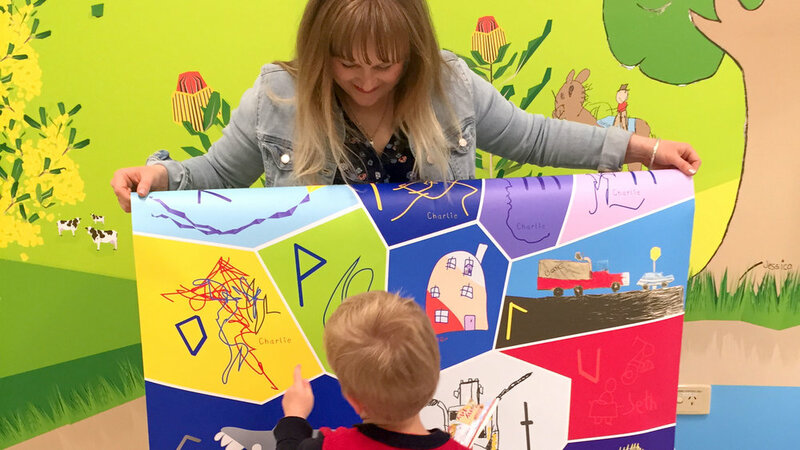 Rachel’s latest body of ongoing work is in collaboration with the Murrumbidgee Local Health District’s Arts Strategy Panel as part of the $282 million hospital redevelopment. 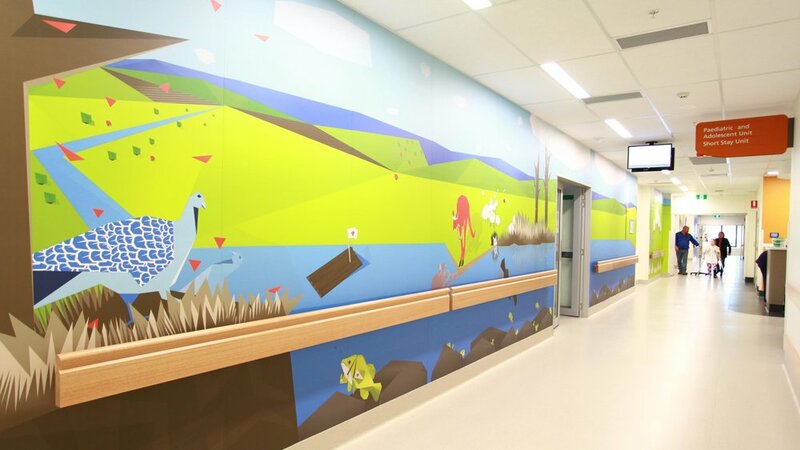 Rachel was successful in being the sole artist selected to transform 240m2 of space within the Wagga Wagga Base Hospital's Paediatric and Adolescent (PAU) Unit into a healing and hopeful environment.